Google is no longer treating microSD cards like second-class storage. 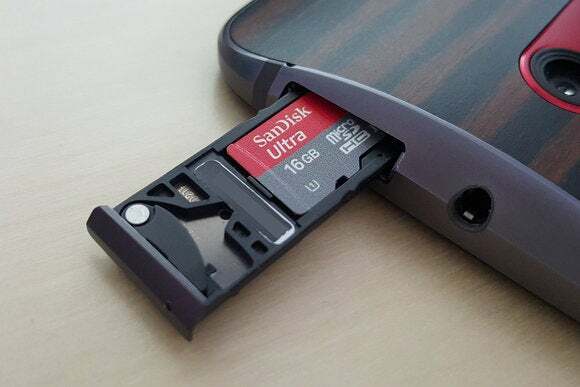 One of Android’s early advantages over the iPhone was the availability of removable storage. While Google still shuns microSD cards in the Nexus devices, many other Android phones still offer removable storage as an option. This was a bit of a pain to manage in the past, but that’s changing in Marshmallow with the addition of adoptable storage. With just a few taps, you can merge the card with your device’s built-in storage to expand your total capacity. If you don’t mind the drawbacks, of course. 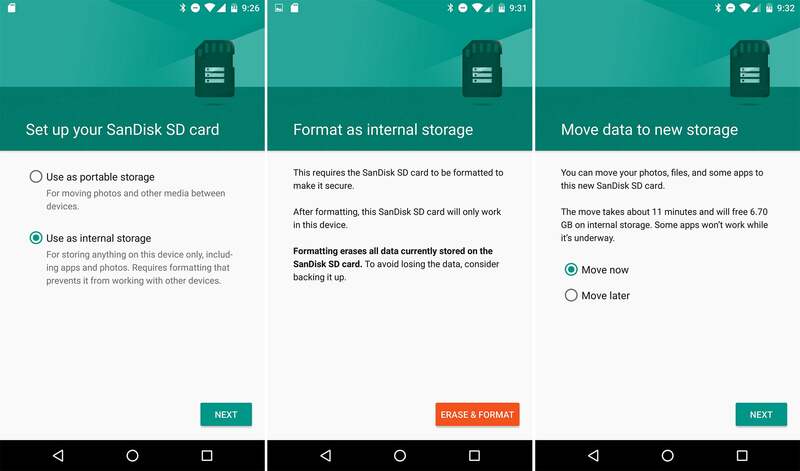 The default mode for removable storage on Android has always been to keep it separate from your phone’s built-in storage. Even when there is an option to move data to it, you often have to do it manually. For example, back in the early days when Google supported moving apps to the SD card, you had to move each one manually. To this day, standard removable storage does not support private app data and media unless you make use of adoptable storage. Adoptable storage formats your microSD card as a part of the system using the Ext4 file system and 128-bit AES encryption. This new partition becomes part of the system and the primary storage location for app data. Where before you might only have had 10-12GB of storage available on a “16GB” phone, you could have around 70GB if you adopt a 64GB microSD card. Data will be distributed to the card and internal storage automatically; no mucking around in file managers. In other words, if you “adopt” an SD card, it makes your phone’s storage space that much bigger, instead of just adding a separate pool of storage space. Left: prior to adopting SD card. Right: adopted SD card increases total storage. You can set up adopted storage with any card, but Android will run a quick benchmark to make sure it’s fast enough. Using a card that is slower than recommended can have a negative impact on your system performance, though it’s often not a huge difference. Read/write speeds should only lose about 5% if you’re using a fast card. When the card is adopted by the system, it’s essentially a permanent part of your device. 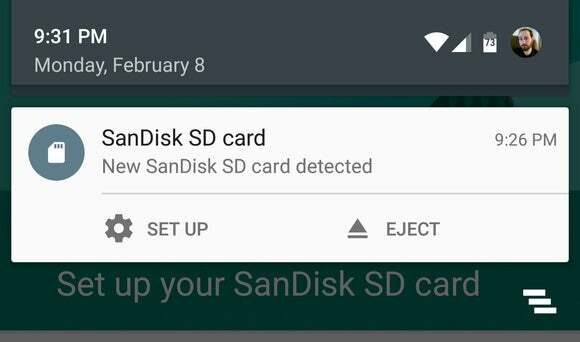 Since Android is keeping the bulk of its app data on the card, removing it will cause things to crash left and right. If you force the system to forget the adopted storage because it’s been lost or damaged, all that data is gone forever. 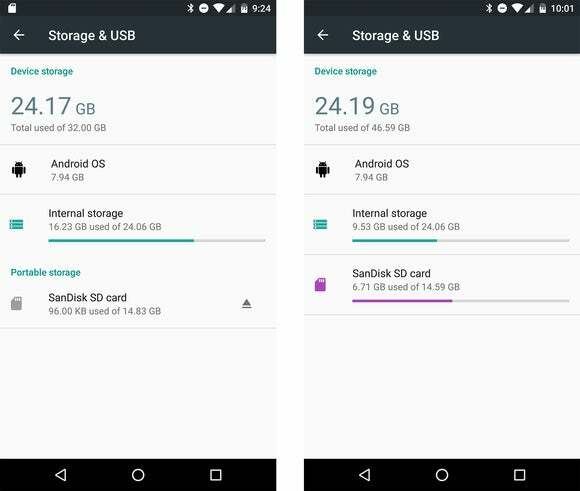 In order to use adopted storage, you need a phone running Android 6.0 Marshmallow and a microSD card slot. Some devices that will work right now include the Moto X Pure, LG G4, and HTC One A9. Not every phone running Android 6.0 supports the feature: The upcoming LG G5 and Galaxy S7 are said not to, for example. Android makes it easy to set up new microSD cards. You’ll be prompted to choose a mode for your card as soon as you insert it. Most devices offer “Portable” and “Internal” as your choices. Select portable if you just want to dump some files on the card and be able to move it to other devices. The “internal” option is adoptable storage, which again, means you can’t remove it from that device without some serious legwork. Anything that is on the card will be lost when you adopt it as internal storage, which only takes a moment. When that’s done, your device will offer you the option of moving app data and media to the card immediately. This will take a bit longer, depending on how much data is on your device. If you bypass this and want to go back later, just visit the internal storage menu and use the “Migrate data” option. You’ll probably end up with a few gigabytes of data on the card after the move. Configuring adoptable storage in a few quick steps. If you decide to use the card for something else, or you want to trade up to a larger one, you need to do some housekeeping. The data stored on your card must be migrated back to the internal flash storage in order to avoid breaking your apps. You can do that from the internal storage menu. If you can’t fit everything, you’ll have to delete things until you’re under the limit. At that point, you can go back into the SD card storage menu and format it as “portable,” meaning it will work in other devices. If there’s any data still on it, you will lose it. So, there are some caveats with adoptable storage, but it’s much better than the old approach for most situations. As long as OEMs continue to offer devices with a paltry 16GB of storage, this will be a very useful feature.